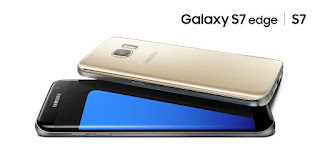 NEW YORK – FEBRUARY 21, 2016 – Samsung Electronics Co., Ltd today announced the newest additions to the Galaxy family of products—Samsung Galaxy S7 and Galaxy S7 edge. Created for today’s mobile lifestyle, Galaxy S7 and Galaxy S7 edge lead the industry with a unique mobile experience that features an enhanced design, higher-quality camera, refined software functionality, and unparalleled connectivity to a galaxy of services, products and experiences. We believe in a world that is brighter, sharper, more convenient, and more fun. We strive to deliver on that vision with the Galaxy S7 and Galaxy S7 edge by marrying elegant design with functionality and providing a seamless mobile experience,” said DJ Koh, President of Mobile Communications Business, Samsung Electronics. “We empower consumers with technology to help them get more out of life and will continue to push the frontier of what’s possible. The Samsung Galaxy S7 and Galaxy S7 edge are built with advanced smartphone cameras. The main, rear camera sensor captures 95 percent more light through a wider aperture and larger pixels to deliver brighter and sharper images, even in low light1. With the first ever Dual Pixel sensor in a smartphone camera, the Galaxy S7 and Galaxy S7 edge autofocus on an image quicker and more accurately than other leading smartphones, allowing you capture moments even in dim light. With a curved-glass back and slim ergonomic body, the 5.1-inch Galaxy S7 and the 5.5-inch Galaxy S7 edge are even easier to hold in one hand and fit in your pocket or purse. The Galaxy S7 edge features curved glass on all sides of the device, giving users a unique dual-edge display and bigger screen than the Galaxy S7 for a fully immersive experience. The larger edge panel on the Galaxy S7 edge gives users more space for apps to make it easier to select and swipe through the different screens with one-hand2. The new Tasks edge screen offers one-tap access to applications, functions and news, such as contacts, selfie mode or calendar, always accessible. The Samsung Galaxy S7 and Galaxy S7 edge sport a Super AMOLED, Always-On Display which allows users to take short, quick peeks at basic information like the time, calendar or notifications without touching or waking the screen. Always-On Display intelligently turns off when your phone is tucked away in your pocket or purse and out of sight. The Samsung Galaxy S7 and Galaxy S7 edge are made both water resistant and dust resistant (IP68 certification) with no compromises to the seamless design and making them life-proof to accidental spills3. From launching apps to playing games to streaming video, everything happens faster and smoother on the Samsung Galaxy S7 and Galaxy S7 edge, thanks to a new, improved, more powerful and more efficient CPU and GPU. The phones will have boosted battery capacity of 3,000 mAh for the Galaxy S7 and 3,600 mAh for the Galaxy S7 edge. Users will also enjoy fast wireless and wired charging4. Additionally, the hybrid SIM card tray allows users to insert a microSD card for up to 200GB of additional storage5. Samsung continues to push the boundaries of hardware, software and services to create devices that improve how consumers connect, share and get more out of life. By introducing a portfolio of seamless mobile experiences that are unlocked with the new Galaxy S7 and Galaxy S7 edge at the center, Samsung is pushing beyond the limits of today’s technology to create meaningful innovation. Whether consumers are using the Galaxy S7 series and the new Gear S2 Classic to bring features of their smartphone to their wrist or using the Galaxy S7 and Galaxy S7 edge with Gear VR to enjoy immersive 360-degree content – Samsung is redefining what users can do with their smartphones. Galaxy S7 and Galaxy S7 edge users also get the best mobile payment service with Samsung Pay. It is secure, easy-to-use and accepted almost anywhere you can swipe or tap your card6. Protected by Samsung KNOX7, fingerprint scanning and advanced tokenization, Samsung Pay works with NFC (Near Field Communication) and MST (Magnetic Secure Transmission), making mobile payments available to more merchants and consumers than ever before. Samsung+ is a free, mobile app empowering customers to get more out of owning a Samsung product. With Samsung+, users are always just a tap away from live tech support, device diagnostics, tips and tricks, exclusive content, giveaways and special offers. Samsung Smart Switch offers a simple, quick way for users to switch to the new Samsung devices. Whether upgrading an Android device or switching from another platform, Smart Switch8 allows you to easily transfer content to your new phone via wireless or USB connection. The Galaxy S7 and Galaxy S7 edge will include a USB connector in the box for a seamless transfer of content from your old device. Samsung KNOX makes the Galaxy S7 and Galaxy S7 edge advanced, enterprise-ready devices with built in defense grade security—right out of the box. Unlike other mobile security platforms, KNOX is anchored in the device’s hardware, and protects the device from the moment it boots up all the way through launching an app. In the U.S., the Galaxy S7 will be available in Black Onyx and Gold Platinum and the Galaxy S7 edge will be available in Black Onyx, Gold Platinum and Silver Titanium. Both the Galaxy S7 and Galaxy S7 edge will be available with built-in memory of 32GB and expandable memory options. AT&T, Sprint, T-Mobile, U.S. Cellular and Verizon Wireless will carry the Samsung Galaxy S7 and Galaxy S7 edge in stores beginning March 11, with pre-orders starting at 8:00 a.m. EST on February 23. The devices will also be available at Samsung Experience Shops at Best Buy, as well asBestBuy.com, Car Toys, Sam’s Club, Staples, Target and Walmart. Consumers can get an exclusive first look at both devices at participating AT&T, Sprint, T-Mobile, Verizon Wireless and U.S. Cellular stores across the U.S. starting February 26 and at Samsung Experience Shops at Best Buy locations around the country starting February 24. The full list of participating locations is available at Samsung Galaxy S phones. Also, consumers who buy a Galaxy S7 or Galaxy S7 edge between February 23 and March 18 can dive right in to the exciting world of virtual reality with a free Gear VR powered by Oculus, plus a 6-game bundle– an estimated $1509 value. This promotion will last for a limited time only, while supplies last. Visit Samsung for more information. For more information and images, please visit Samsung News Room. 3Dust and water resistant based on IP68 rating, which tests submersion up to 5 feet for up to 30 minutes. 4Fast charging requires Adaptive Fast Charging (AFC) or Quick Charge 2.0-compatible charger to work. Testing under laboratory conditions. Results may vary. Battery power consumption depends on factors such as network configuration, signal strength, operating temperature, features selected, vibrate mode, backlight settings, browser use, frequency of calls and voice, data and other applications usage patterns. 6Only compatible with select cards and carriers; see the Samsung Pay Support (www.Samsung.com/Pay) for compatibility information and contact your bank or financial institution to verify that it is a Samsung Pay participant. 7 Knox is a mark for a Samsung device tested for security and is specifically configured with enterprise use in mind. For information about Samsung’s Knox device, please refer towww.samsung.com/us/knox. 79Gear VR suggested retail price is $99.99, 6-game bundle is estimated at $50 value. Customers making qualifying purchases from certain retailers must submit a valid offer claim form and purchase receipt at samsungpromotions.com by 3/21/16. See [URL] for the Terms and Conditions governing such qualifying purchases. Qualifying purchases from other participating retailers will be subject to terms and conditions outlined by the respective carrier or retailer for point of sale redemption. All of content and image property of Samsung News Room.